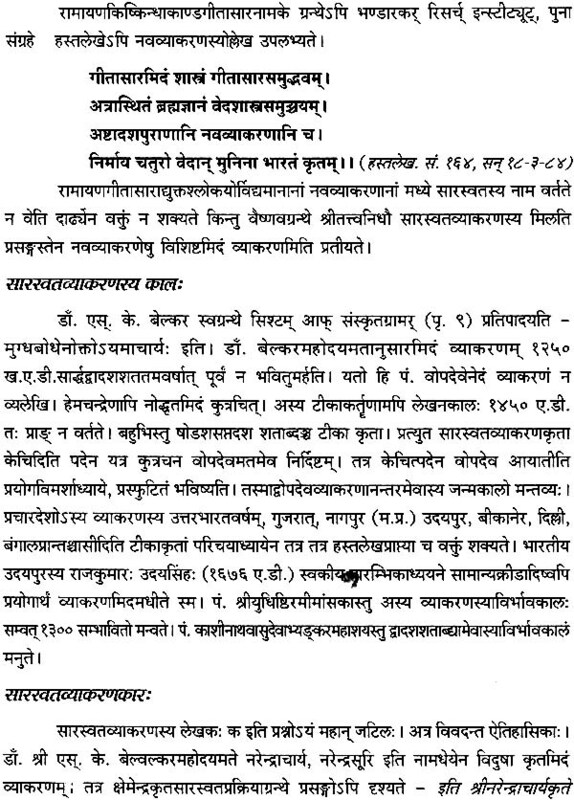 Sarasvata, the name of a grammar work which once was popular, believed to have been written by an ancient grammarian Anubhutisvarupacarya, who is said to have composed 700 sutras under the inspiration of Sarasvati. 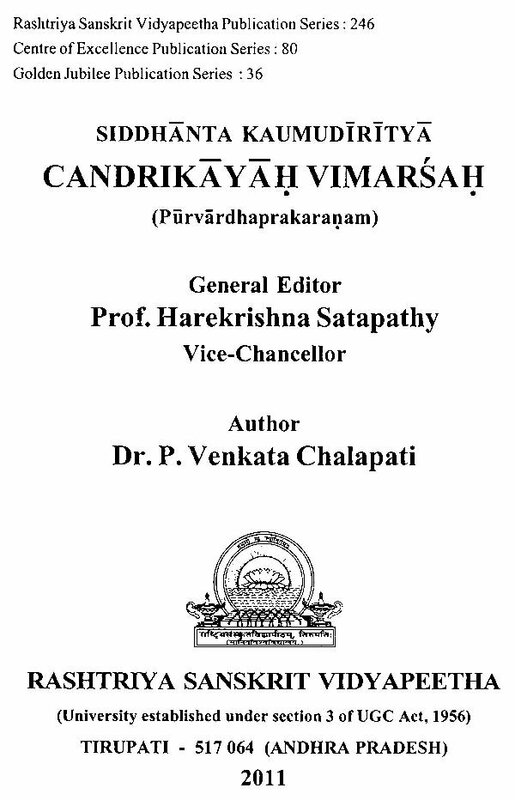 Siddhantacandrika is a work on the Sarasvatavyakarana by a grammarian named Ramasrama. 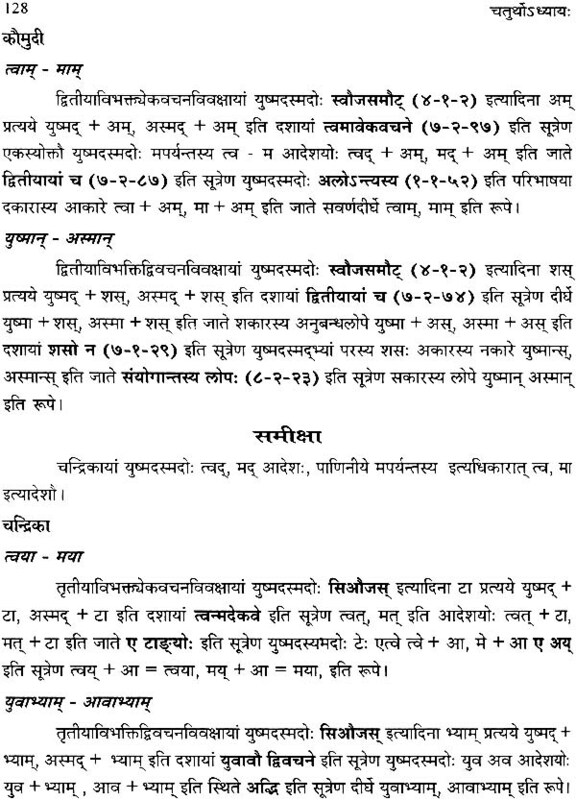 The well known Bhattoji's Siddhantakaumudi, a critical and scholarly commentary on the sutras of Panini in which the several sutras are arranged topic wise and fully explained with examples and counter examples. 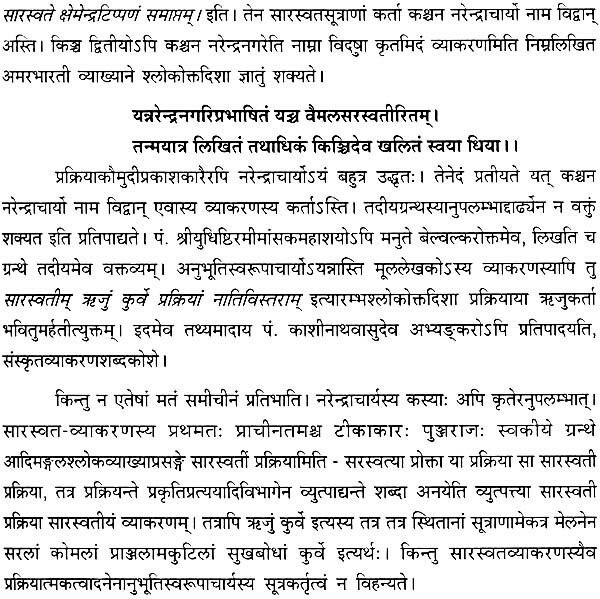 The present work is a comparative study of the Purvardhas of Bhattojidiksita's Siddhantakaumudi and Ramasrama's Siddhantacandrika along with commentaries.